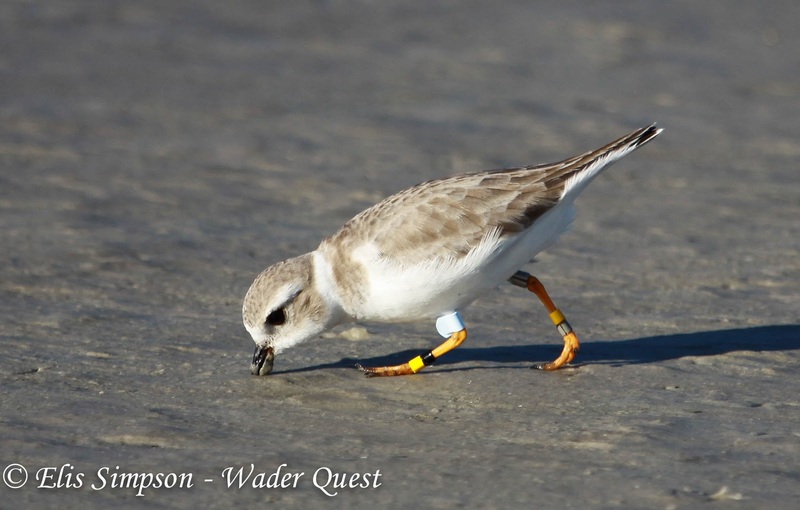 Wader Quest: Benthos? What's that? I am ashamed to say that I had to ask this question. "It's what keeps your favourite group of birds alive and thriving for you to look at!" came the reply. I was informed, for my education that benthos is the community of organisms that live under, on or over the bed of a body of water, be it freshwater or saltwater; scientifically called the benthic zone. Long-billed Curlew Numenius americanus; feeding in the benthic zone. California, USA. These creatures come in a variety of types and sizes and it is they that the waders are probing for in the mud at low tide which is the only part of this zone that is available to them. Eurasian Whimbrel Numenius phaeopus; feeding on exposed mud at low tide. Western Division, The Gambia. Hudsonian Godwit Limosa haemastica; using its long bill to probe deeply for endobenthos, Rio de Janeiro, Brazil. A Piping Plover Charadrius melodus; short beaks find epibenthos at the surface of the substrate. Florida, USA. and lastly there are the hyperbenthos which live just above the sediment. Andean Avocet Recurvirostra andina; sweeps for hyperbenthos under the water, Antofagasta, Chile. If you are one of these creatures and you measure over 1mm in length, then you will be deemed to be one of the group of macrobenthos. Not much macro about being 1.1mm in length you might think, but when you consider at the other end of the scale the microbenthos are under 0.01mm in length, and that is small by any standard. If your stature falls between these two you will be classified as an example of meiobenthos. 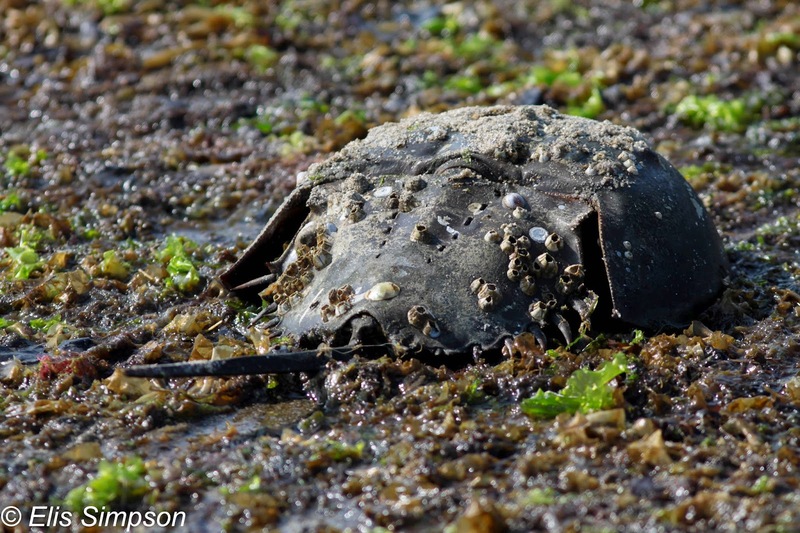 Horseshoe crab Limulus polyphemus; if macro benthos are anything over 1mm long then this should be called megabenthos! Connecticut, USA. So are they animal, vegetable or mineral? Well the former two actually, the two types of benthos are the animals that are called zoobenthos and the same for the plants which are called photobenthos. New Zealand Dotterel Charadrius obscurus; anyone for zoobenthos? Waikato, New Zealand. But what are these creatures? At the big end of the scale we are talking about seagrasses, worms, starfish, crabs, shellfish, sea cucumbers etc. which are all recognisable to us, but on the smaller scale they can be tiny shrimp-like creatures to worms and even macroalgae. Bivalve molluscs, edible benthos. São Paulo, Brazil. The lower forms in the food chain eat algae and detritus, these will then be eaten by smaller predators and so on up to the top of the chain. Freshwater macro/zoo/hyperbenthos, European Bullhead Cottus gobio; Hertfordshire, England. So next time you go to the shellfish stall at the seaside, just ask for a few grammes of benthos and see what you get! Grey Plover Pluvialis squatarola and Hudsonian Whimbrel Numenius hudsonicus; California, USA. Benthic artisan at work; pattern left in the sand by an excavating crab, also known as wader food. Eastern Australia, Australia. Photo: Elis Simpson.